Once you start braiding bread dough, you'll never want to stop! Braided breads are a beautiful addition to any family dinner or outing. The braids are easy to make, and the resulting loaf is perfect for passing around the family table to tear off chunks for the dinner plate. This beginner's braided white bread is braided into 2 beautiful loaves! This is a fantastic recipe for people just learning how to bake yeast breads. A traditional Jewish bread called challah, braided Sabbath bread is a delicious bread for any day of the week. This recipe makes 2 loaves of white egg bread that are topped with poppy seeds. Czech hoska is a beautiful, rich bread made by Bohemians and Czechs. 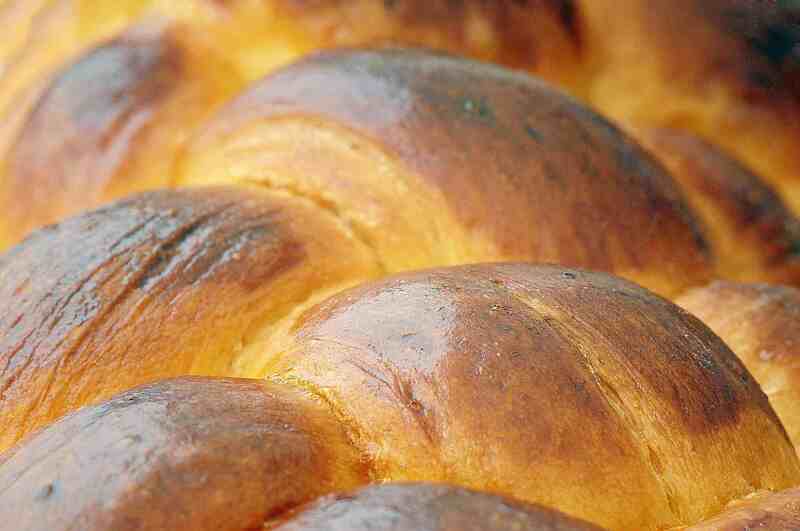 Similar to challah, hoska is made with eggs and butter. It can be baked with or without raisins. The first time we tasted farmer's cheese, we knew we had to try baking it into a bread. This recipe for braided farmer's cheese bread is fabulous for family dinners, pasta night, and for picnics. This sweet and lightly spiced sweet yeasted bread is perfect to bake for company.